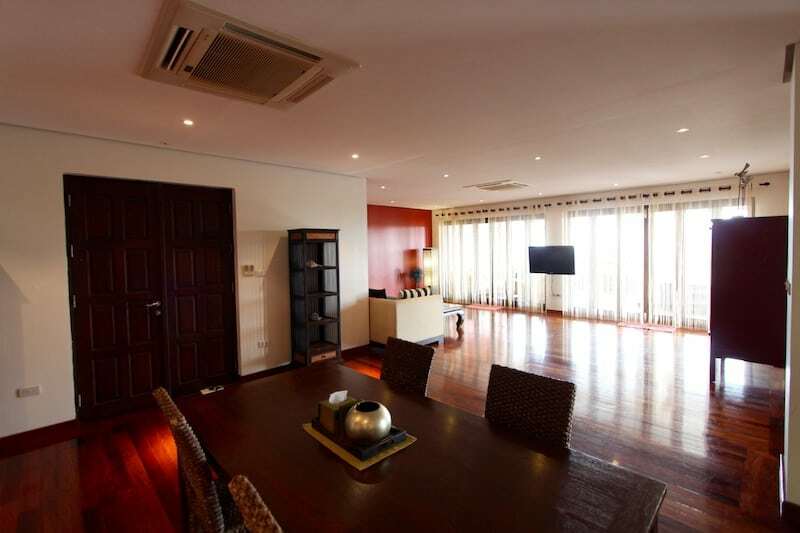 THIS IS A SPACIOUS, HUA HIN CONDO WITH SEA VIEWS FOR RENT NEAR TOWN CENTER. 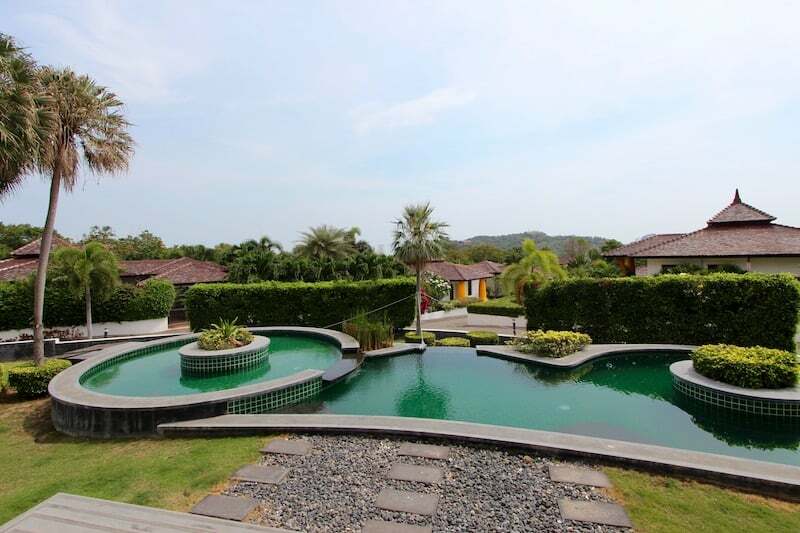 This condo unit is located within a private development of high quality residential homes, just south of Hua Hin town center and about 5 minutes to the beach. 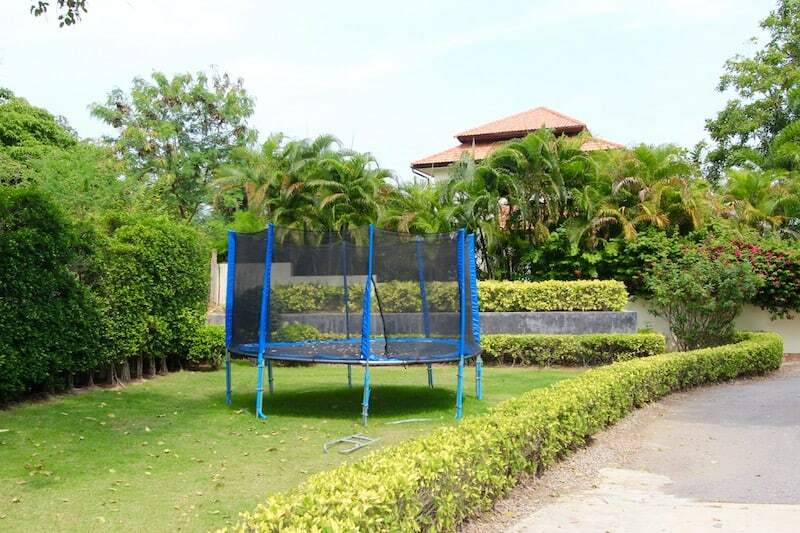 This development has a vibrant community with a lot of families, as well as 2 large communal swimming pools, community gardens and ample parking. 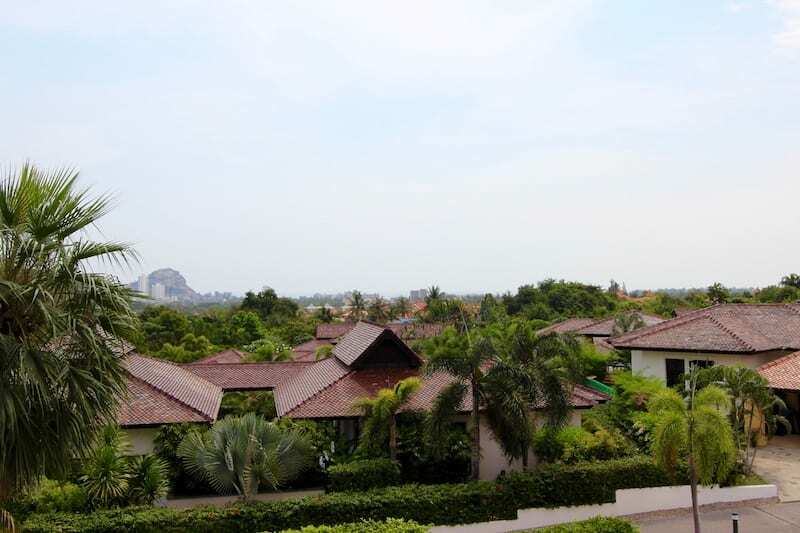 Throughout Hua Hin (and Thailand in general), it’s difficult and unusual to find large condo units within 5 minutes’ of town center. 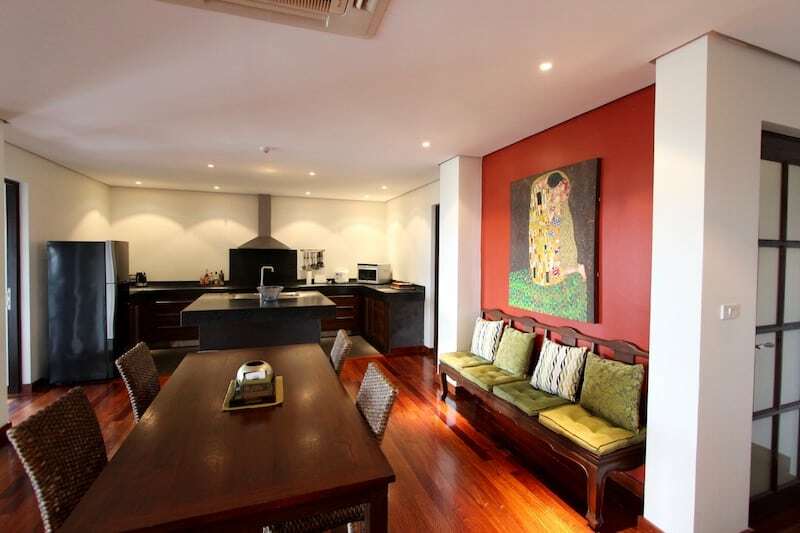 The unit is comprised of 3 bedrooms, 3 bathrooms (all en-suite), a large living room, dining area and open kitchen. 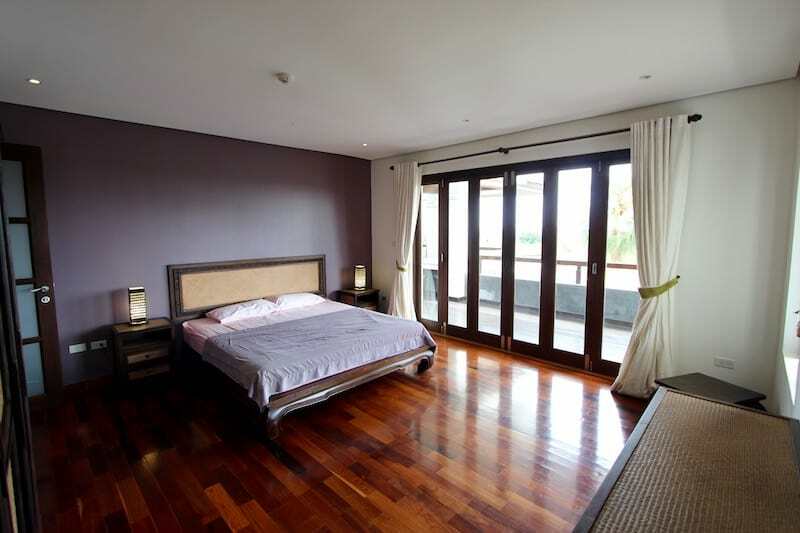 There is a long balcony off the living room that runs all the way to the master bedroom. 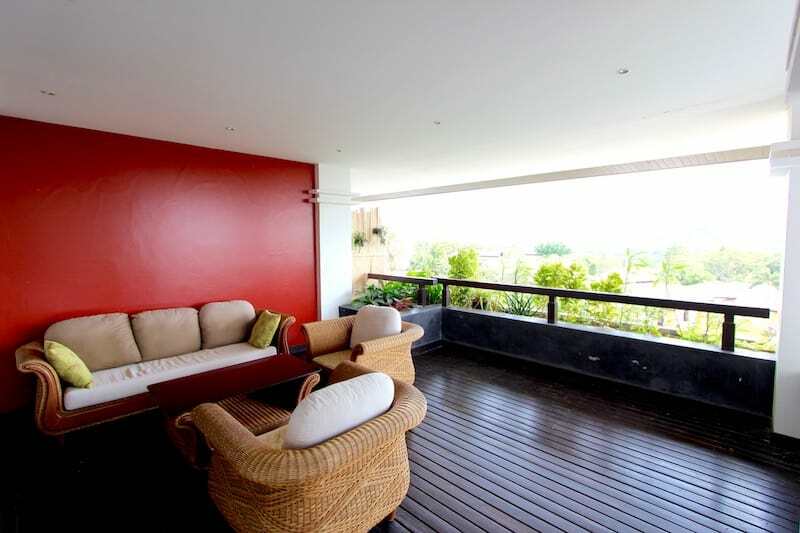 The balcony has a lounge set, perfect for watching the early morning sunrise or sitting in the cool breeze of the early evenings. 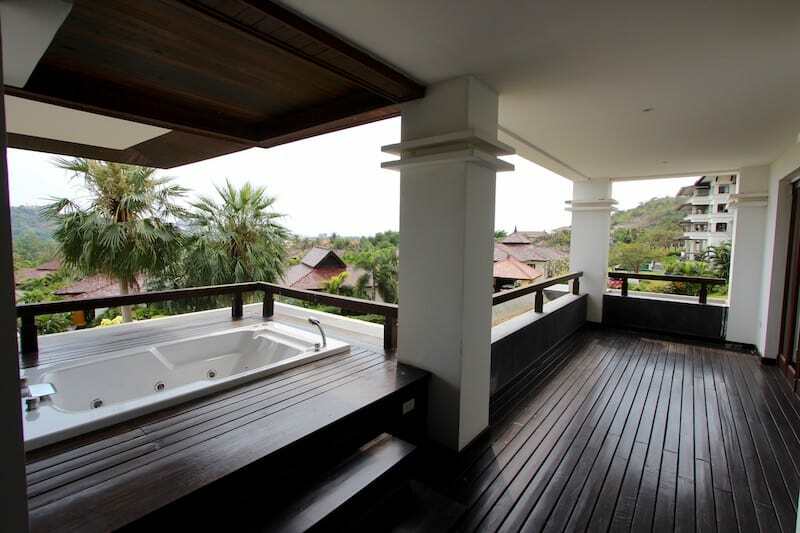 The balcony also has a jacuzzi bathtub and planter boxes full of lush tropical plants. 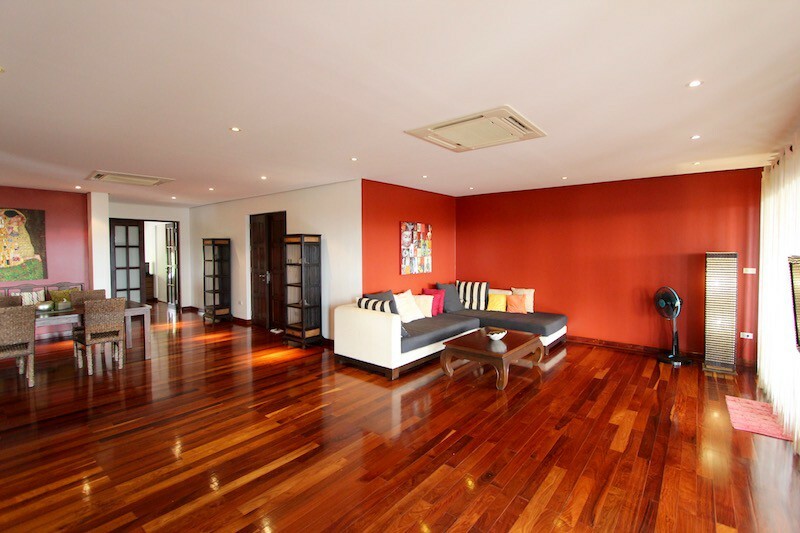 The unit is finished throughout with hard wood floors, bright colors, and concertina style doors that open completely from wall to wall to allow for a lot of light and breeze to continually flow through the unit. 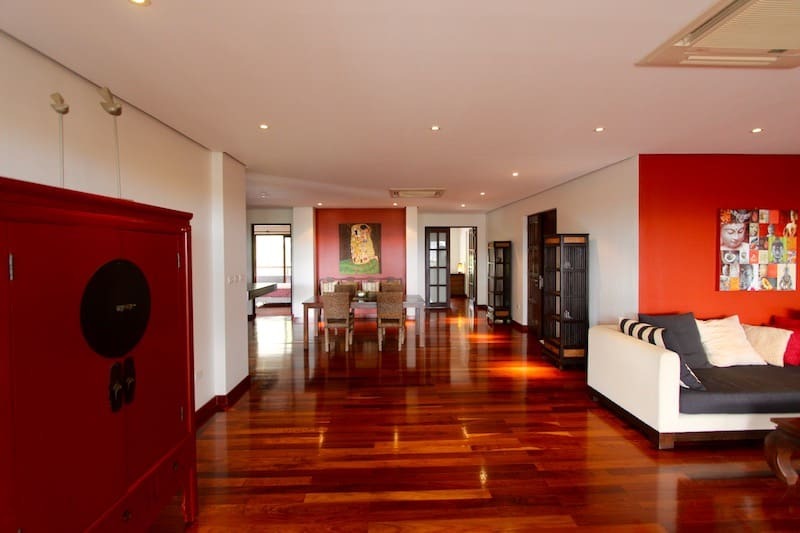 The living room is furnished with high quality, yet comfortable and cozy furnishings with a large L-shaped sofa and flat screen TV. 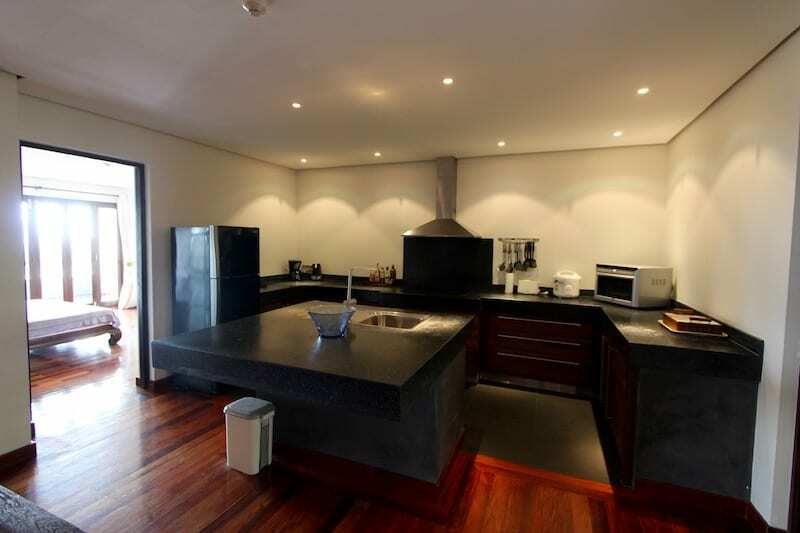 The kitchen has high quality wood cabinets and granite countertops with a lot of storage throughout. 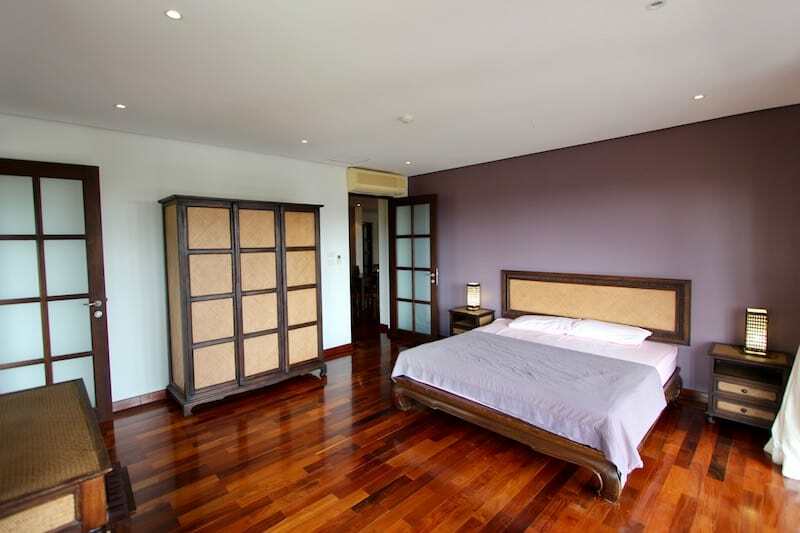 The master bedroom has a king size bed, framed by a modern feature wall, a wardrobe and dresser, and large accordion style wood doors opening onto the balcony. 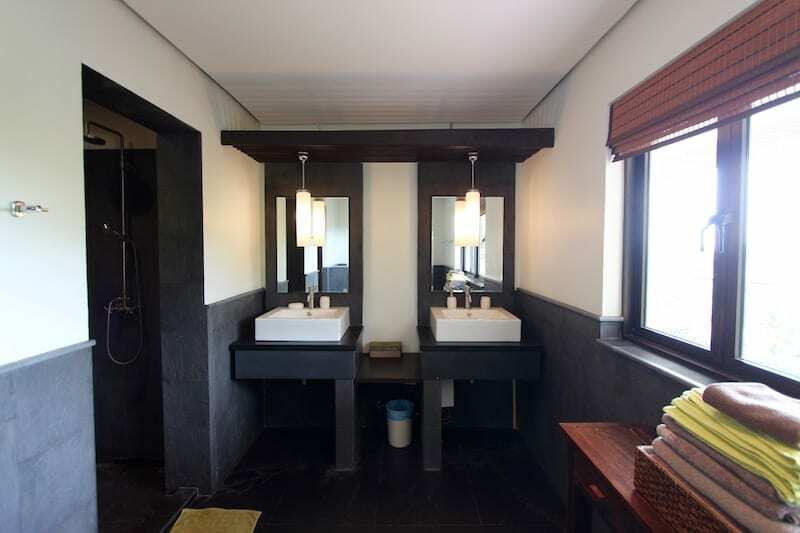 The master bathroom has a bathtub and double sinks. 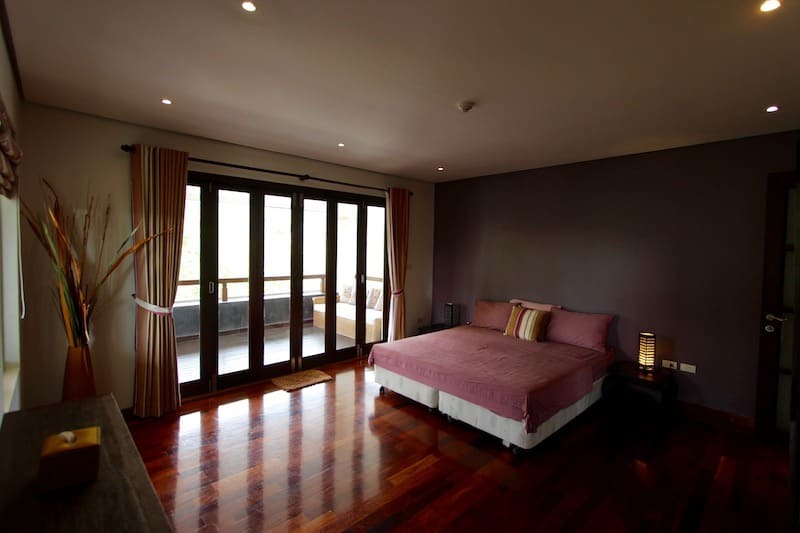 The second bedroom also has a king size bed framed by a feature wall, a wardrobe and dresser, and a smaller private balcony. 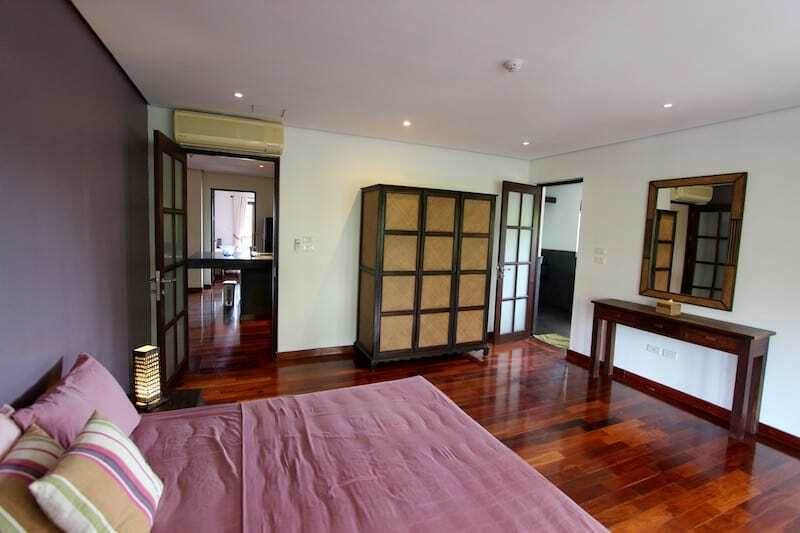 The second bedroom has double sinks and a walk-in shower. The third bedroom has a desk, a twin bed and a wardrobe. 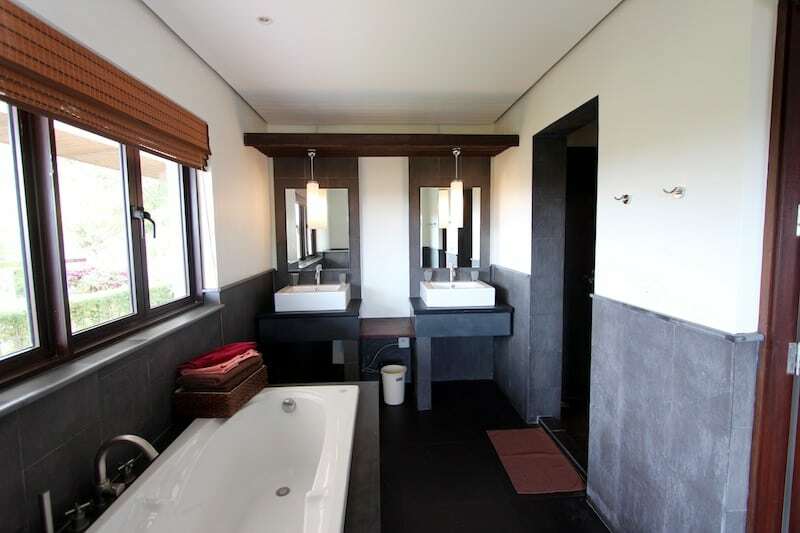 The third bedroom has an en-suite bathroom that also functions as the guest toilet.